Four Eras ‹ Following The Way . . .Together! Throughout four eras of human communications, Christians have embraced contemporary communications technologies to “proclaim the Good News” and “make Christians.” Jesus offered these imperatives in the Great Commission (Mark 16:15, Matthew 28:19-20). They inspire disciples of every generation to collect and maintain the wisdom of the Christian tradition, share the stories of God’s incomprehensible love and presence in our lives, and respond in such a way that faith is put into practice. 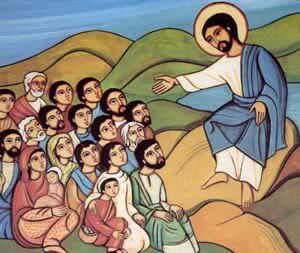 For the past two thousand years, stories of Jesus’ action in human history have been told and retold using the native tongue of people around the globe (1.0). The written Word (2.0) – the Bible – is available in 475 dialects and its stories have been translated into other forms including simple paintings decorating second and third century CE tomb wall; icons offering windows to heaven, symbolic truths, and spiritual ideals; and magnificently adorned “Stone Bibles” proclaiming the Word through stained glass, frescos, mosaics, and statues. 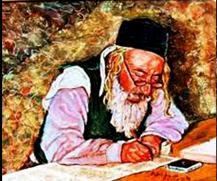 Gutenberg’s 1455 innovations mechanizing the printing process with a movable type press inaugurated the mass media age (3.0) enabling the mass distribution of the same message across a wider geographic area than previously conceived possible. This coincided with radical reformers’ desire to put their message and the Word (Scripture) in every home, missionaries’ eagerness to educate the general population so that they could read and interpret the Scriptures for themselves, and a large, geographically-dispersed population’s interest in gaining access to this information and heralded the emergence of popular culture. Human communications became “untethered” through electronic innovations starting with the telegraph expanding to include broadcast radio and television. 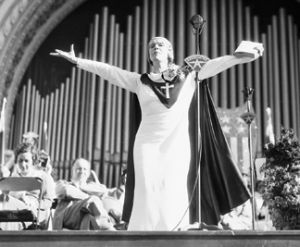 Pioneers like Aimee Semple McPherson and Paul Rader built radio stations to broadcast church services, Morning Prayer, inspirational talk shows, and entertainment-oriented programs leading 63 religious organizations to apply for and gain radio licenses by 1925. When NBC debuted as a coast-to-coast network in 1927, listeners could engage intelligent, balanced representations of the nation’s three major religious groups through radio programs like NBC’s National Radio Pulpit, Catholic Hour, and Message of Israel. As television was introduced in the United States, mainline churches were reaching toward the peak of their membership and the emerging commercial television networks continued to offer mainline faith groups free, sustaining airtime. Frustrated by this arrangement, more conservative religious groups who felt “squeezed out” of radio and television by their more liberal counterparts began to pay to be on the air and introduced the first televangelists. By the 1950s, families regularly gathered to watch Fulton Sheen, Billy Graham, Oral Roberts and Aimee Semple McPherson proclaim the Gospel and share their faith traditions. Formation 4.0 is inherently interactive giving individuals not only the ability to receive communication but also to respond. By converting voice, video, and data into digital signals, people and resources can be connected (almost) anywhere and at (almost) any time. The United Methodists were first on what is now the Internet testing the water in 1983 by distributing an electronic newsletter before using the networks to share daily news stories, commentaries, and news briefs from their 1984 General Convention. 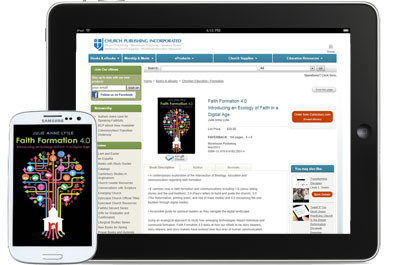 Today, mobile technologies and social networking make it possible for church leaders and faith community members to instantaneously interact with one another, engage faith stories, and reflect on ways to mobilize to serve God’s mission. Our imagination is the only limit as new technologies continue to introduce additional ways to proclaim the Gospel and organize justice-seeking activities.